This is what I wrote. Looked at the picture I doodled and wrote spontaneously. as we make our way to an unknown end. We leave a line for others to follow. Clear paths or littered with debris. It’s been a rough several months. I suspect that in order to flee all the snow in the Eastern United States my “Fibro-Fiend” needed a bit of sunshine so dropped in for a visit. It’s been sunny and warm here and she just won’t leave. She’s a demanding house-guest and almost all my energy is spent focusing on her needs. She doesn’t have a very good sense of humor either and I have to find ways to amuse myself. I’ve not had the energy to participate in Year of the Spark so I revisited some old, EASY Carla Sonheim exercises looking for some spark. 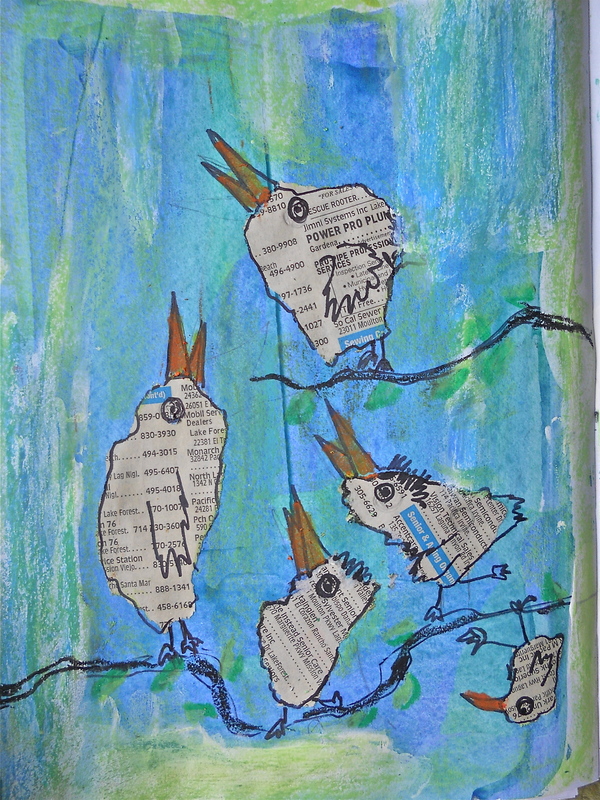 Click here – Irritated Birds – to see how I made the birdies. Put a beak on it! That’s all folks. Gotta go feed Fibro-Fiend. 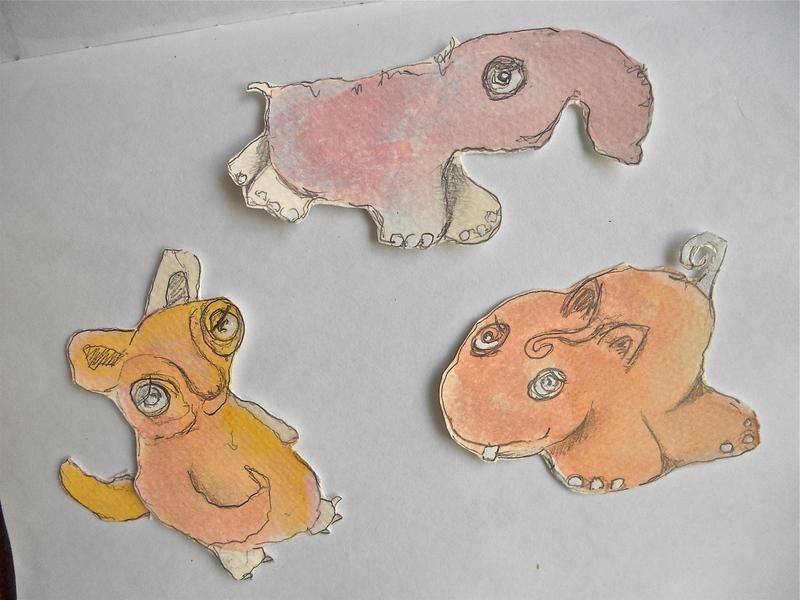 Very cool . . . . er rad . . . . er beastly* Jumbo Journal pages! Make sure you notice the “bindings on some of the journal books. *Thanks Laurie F for letting me know that “beast” is the latest high compliment among those who are young enough to think of me as old, VERY old. I don’t want to lose my edge.